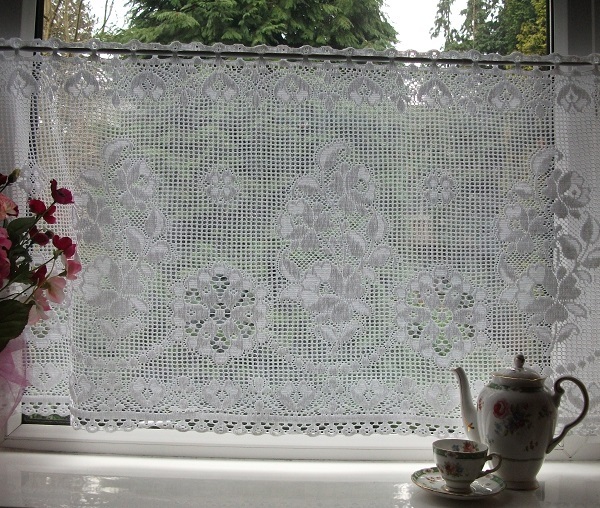 This lovely white cotton vintage Nottingham lace displays a pattern of round doilies and pretty stems of flowers and leaves. 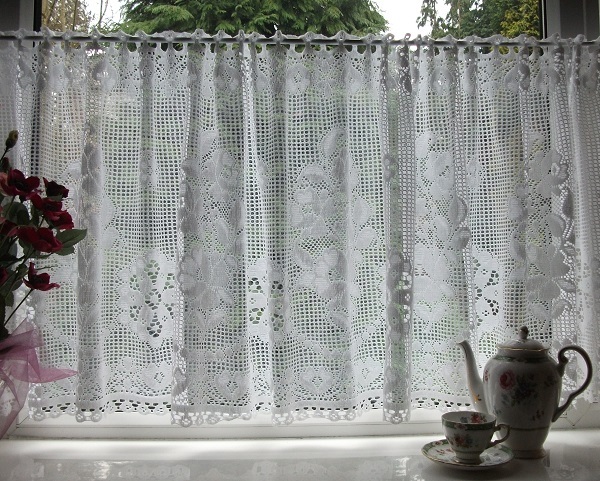 The overall length of this curtain is 23" (58cm) making it perfect for use as a cafe curtain in the home, tearoom or for other commercial use. 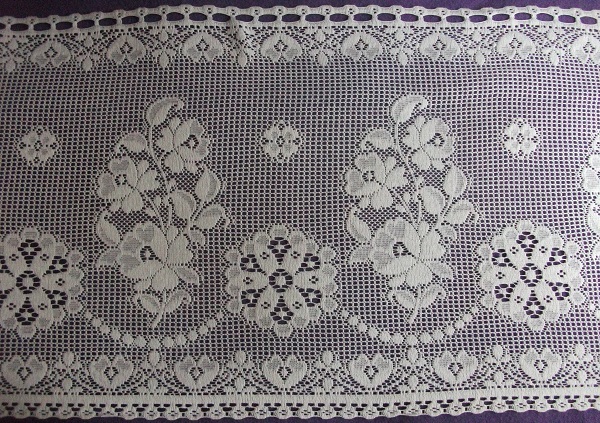 This very pretty lace could also be used to make other household items.